Of all the appliances that are in your home, the HVAC system is one of the most expensive and complicated. If you don’t invest in regular maintenance, the system may suffer a number of costly problems. However, when you seek professional attention for your system several times a year, the services will outweigh the costs. Some of the benefits offered by seeking preventative HVAC system maintenance can be found here. Heating and cooling your home uses approximately half of your energy budget. When you invest in professional service, it will reduce the amount of energy required. When your system is cleaned, lubricated and adjusted, it won’t have to work as hard to maintain a comfortable temperature in your home. The HVAC tune-up goal is to bring the system back as closely as your technician can to the original factory condition and settings. As time passes, any and everything that is mechanical is going to suffer wear and tear. However, keeping the parts clean will go a long way toward increasing its useful life. If you don’t seek maintenance, the electrical parts may corrode, which can cause serious problems. The flow of electricity will be slowed down, and the heat inside the system will increase. Additionally, the presence of dust on the components inside your cooling and heating system will slow down the heat exchange process. This will cause the system to run longer to get the home to a comfortable temperature, which will wear the parts prematurely. When you have an HVAC technician check out your system during regularly scheduled, preventative maintenance, they may discover a particular part that is not functioning properly. At this point, they can replace the part before it completely fails and keeps your system from being able to run dependably. A single failing part can result in a damaging ripple effect on the entire system. As a result, instead of just having to replace the one part, you may have to replace several others, too. During regular maintenance, these damaged or malfunctioning parts can be replaced before they cause damage to other parts of the unit. 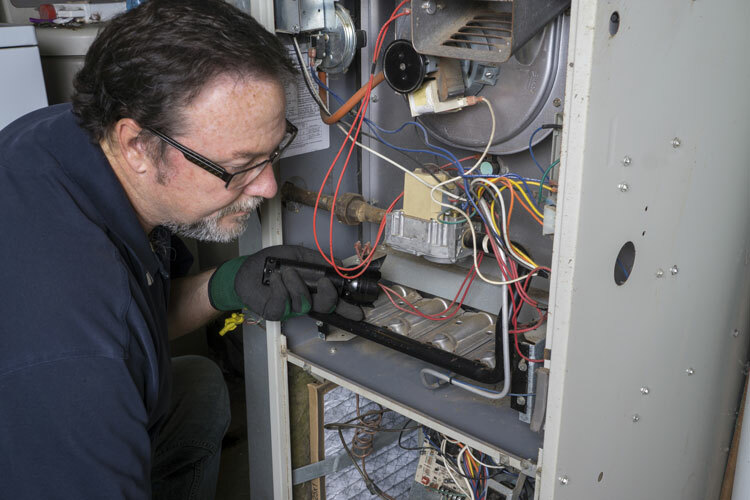 There are some heating and cooling system manufacturers that require you to seek periodic maintenance performed by a licensed HVAC system technician to ensure the warranty remains active. Considering the costs related to parts and labor, losing the protection of the warranty may cost you quite a bit in the future. If you want to achieve the highest performance possible for your heating and cooling system, then you need to invest in preventative maintenance. Doing so will help provide you with all the benefits highlighted here, and more.